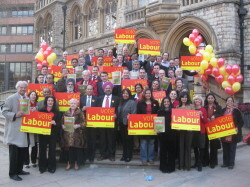 Council Elections 2010 - Who Will Be Standing? Highlighting Labour’s successes in bringing about Safer Neighbourhood Teams, rebuilding Ealing’s Schools, new street lighting for the entire borough and the creation of London’s newest park in decades, Northala Fields, Labour insists that residents would be better off under a Labour Council and Labour Government. · A 24/7 Grimebusters hotline to report local trouble-spots and get action to clear them within 24 hours.